Being a most reliable organization, we are engaged in offering a wide range of Designer Copper Glass. Copper Water Bottle With Two Glass Set in Gift Box. 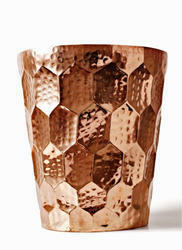 Our organization is engaged in offering high quality of Copper Glass which is intricately crafted with ancient design. These copper glasses are available in enchanting colors, patterns, sizes and finishes in order to meet the requirements of several clients throughout the world. 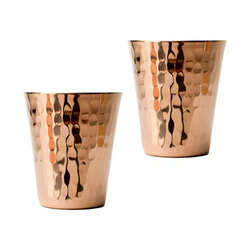 These copper glasses are widely renowned for providing unique sparkle to the interiors. - This is a single gorgeous copper water bottles without joint.